Education in Chandigarh, Chandigarh Higher Secondary Education, Chandigarh Education. Chandigarh is the ever popular educational destination not only for native of Chandigarh but also for the students of every nook and corner of the country. Even Institutes with national importance are located in Chandigarh and universities in Chandigarh are well-know for competitive exams not only in India, but also abroad. Chandigarh is the most literate state. 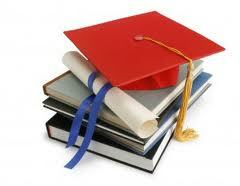 Right from primary education to higher studies Chandigarh has an extensive network of education. Numerous educational institutions offering quality education in medical, engineering, management, science, arts, commerce, research and other relevant areas of study are found in Chandigarh. For promoting the quality of living Chandigarh is ranked top in Human Development Index. Chandigarh is also known to be the only Union Territory that is the capital of two state governments (Punjab and Haryana. In various streams colleges are found in Chandigarh such as Ayurvedic Colleges, Engineering Colleges, Homeopathy Colleges, Law Colleges, Medical Colleges, Nursing Colleges, Pharmacy Colleges, Commerce Colleges, Arts Colleges and several others. The government colleges located in Chandigarh are Government College for Boys, Government College for Girls, Government College (Co-educational) and Government College of Commerce & Business Administration. Punjab Engineering College and Chandigarh College of Engineering and Technology (CCET) are the top engineering colleges in Chandigarh. Several other colleges in Chandigarh include Chandigarh College of Pharmacy, Chandigarh College of Hotel Management and Catering Technology (CCHM), Government Medical College and many more. Undergraduate, postgraduate, M.Phil, diploma, certificate courses, advanced diploma courses, LL.B (Hons) and even Ph.d programs are offered by the universities in Chandigarh to the students. Punjab University and Postgraduate Institute of Medical Education and Research are the well known universities in Chandigarh. English is the primary language of instruction and Hindi or Punjabi is the secondary language of instruction in various schools located in Chandigarh.